Headcount increased in 2010 to 75 from 52 the previous year. The firm hired Jarrod Walpert as VP and Ditas Mauricio was promoted to SVP. The agency has eight: consumer, business technology, sports, entertainment, lifestyle, travel, Hispanic, and consumer technology, which was added last year. Key account wins included Sun-Maid, Behr, DTS, Qualcomm, Competitor Group, ESPN Sports Nation, Toyota Pet, and Happy Baby. Losses were Bamboo Pets, ESPN Zone, Hollywood.com, and Movietickets.com. The agency ended 2010 with $9.1 million in revenue, a 38.6% increase from 2009. New business accounted for 92% of last year's increases and 8% was organic growth. 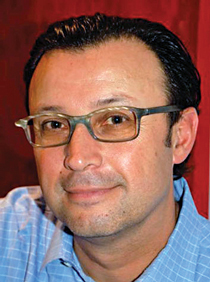 Formula PR's "national boutique" approach propelled it to a successful 2010, explains CEO Michael Olguin. "Not only did we meet our goal, but we also met our stretch goal," he adds. "It was significant coming out of 2009 when we were 7% down. The part that was significant for us was we added a number of blue-chip brands, including Sun-Maid raisins, and some other ESPN work and Toyota Pet's initiative – some really significant pieces of business for us and for an agency our size." In addition, the agency saw growth in its Hispanic practice Formulatin, which signed on Bohemia beer and Napa Auto Parts. Olguin says the team raised its pro-file from a media relations standpoint, earning more invitations to RFPs. Formula PR also increased its headcount significantly, while expanding its offices in New York and San Diego.